Blog / Gary’s 5 Top Tips for taking care of your piano. 1. 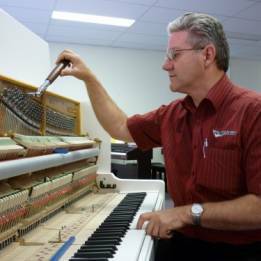 Have your piano tuned regularly. 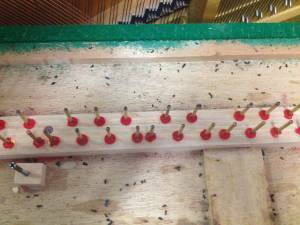 The benefit of tuning your piano regularly is it will sound good every time you play it. I can also check if the piano is getting too dry or too humid. Nothing worse than a piano that is rattling through dryness or stiff hard to play keys because it’s too moist. 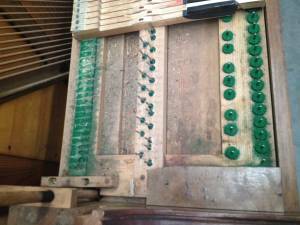 Related Article: How humidity affects pianos. If you move you piano make sure it’s not in a draft. I recently helped my mother into a nursing home and luckily they had a room big enough for a piano. So mum was able to have her top quality Schimmel piano in her own room. However, when I visited her on our first hot day of the summer she had the window open and the hot breeze blasting in on the piano. I checked it and it had gone flat in one day. Answer. 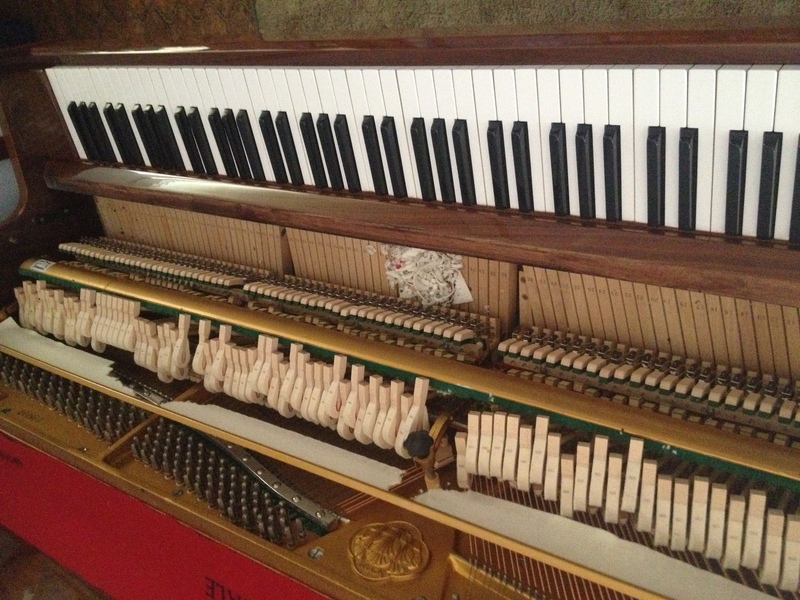 I have to fit a piano life saver system to the piano. Below is an image of a piano that has been in a hot situation. 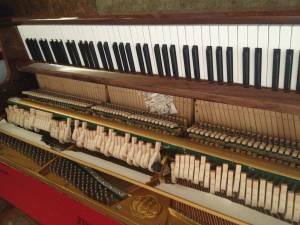 Moving your piano is a tough process and the impacts it can have on the piano could be quite dramatic, so we always recommend having someone that knows what they are doing shift the piano for you. 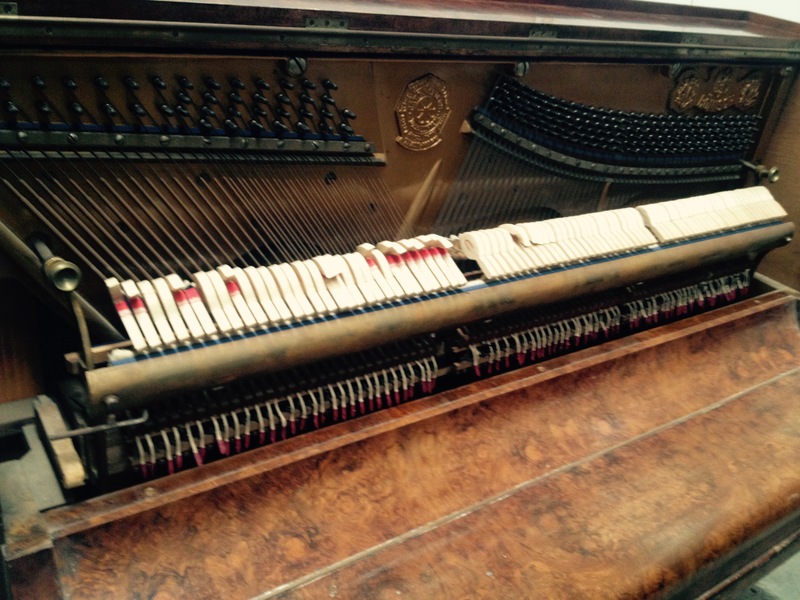 I was recently asked to repair a piano for a removal company. It was a grand piano owned by an advanced music teacher. The company said they had someone that knew about moving grand pianos. Unfortunately, this person tried to put a leg screw into a leg bolt nut. Not only did he put the screw into the leg nut, but he did it up so tight he ran the screw into the key frame that it ripped the screw off completely. Some houses have old carpets and the people sometimes ask me to put the piano they have asked me to move onto an old carpet. The problem is the is often these old carpets have moth eggs or beetle in the and when the conditions are right they move straight up into the piano and eat out the felts. Both in the action and under the keys. 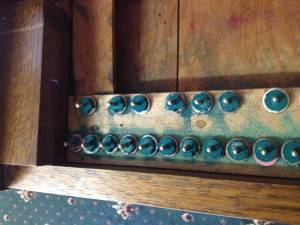 So if your piano is on an old carpet moth protection inside the necessary. Would you believe most pianos are not sealed against mice. First rains after summer and all the mice in the bush or paddock is heading for your house. 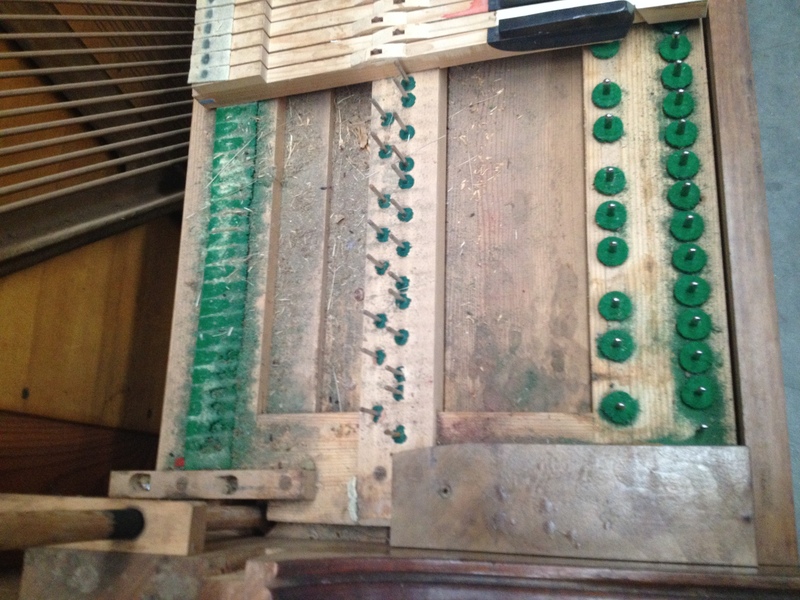 A nesting mouse eats the tapes (the connectors between the hammer and Whippen that helps return the hammers on an upright piano) they build their nest with the felts and cop this they can do $2500 damage to a piano in a week. All the new Bernstein pianos Piano Magic sells are mouse proofed. I have been tuning pianos in country areas all my working life and mouse proofing is very important to me. Bought a piano that is not mouse proofed. Not a problem Call Gary!